With one out of three American adults dealing with hypertension, many doctors are recommending a low salt diet for high blood pressure. It is the job of your kidneys to keep your sodium balance in check. The kidneys are constantly regulating the amount of sodium that makes it into your blood stream. When your sodium levels are low, the kidneys will basically prevent any sodium from being excreted from your body. When your sodium levels are too high, the kidneys work to emit the excess through the urine. However, when the diet includes too much sodium the kidneys may not be able to eliminate the surplus, which results in it accumulating in the blood stream. This can lead to problems because it causes your heart to work much harder to move blood through your vessels, which increases blood pressure. This can eventually lead to many health problems including kidney disease and congestive heart failure. The majority of Americans consume too much salt so it is a good idea for everyone to pay attention to their intake of sodium. According to the most recent dietary guidelines for Americans, healthy adults should not exceed an intake of 2,300 milligrams of sodium per day. This recommendation is for the upper limit or the highest amount of sodium that is considered to be healthy. However, it is best to try to consume even less than this. 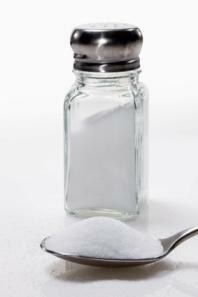 Over 70 percent of the majority of Americans' salt intake comes from processed foods in the form of sodium chloride. This includes things like frozen pizzas, TV dinners, boxed meals, soda pop, and snack foods. Sodium also exists naturally in many whole foods such as vegetables and dairy products. However, these foods contain such a low amount of sodium that eating them contributes very little to your diet. For example, a cup of low-fat milk contains only about 100 milligrams of sodium. Salt is also present in most kitchens and on most tables. Not only do most people add salt to their foods, but many condiments contain high amounts of sodium. Along with a DASH diet, a low salt diet for high blood pressure is often recommended by healthcare practitioners. Currently, it is recommended people with high blood pressure, which is also known as hypertension, consume less than 1.5 grams of sodium each day. Fortunately, it is relatively simple to meet this goal if you are willing to make a few lifestyle changes. Most of the foods available in restaurants and grocery stores contain too much added salt. There are striking differences in the amount of salt added from brand to brand, so it makes sense that many companies could reduce the amount of salt they add to their products without compromising flavor. Cooking from scratch and avoiding processed foods is one of the best ways to ensure you are lowering your daily intake of salt. When you cook at home, you have complete control over how much salt goes into your food. If you choose to consume processed foods, look for those labeled unsalted or low-sodium. Read the nutrition label on the back to determine how much sodium is added to each specific product. Many condiments such as soy sauce, ketchup, and mustard contain sodium. Look for condiments that contain little or no sodium. You have complete control over how much salt you add to your food. Remove the salt shaker from the table and use herbs, spices, and salt-free seasonings to add flavor to your food. Seaweed flakes have a salty flavor and make a great substitute for salt on many dishes. When purchasing canned vegetables buy those labeled "no salt added"
Try using kelp powder to flavor your popcorn instead of salt. Avoid processed foods. Cook from scratch whenever possible. Processed meats including ham, frankfurters, sausages, luncheon, and deli meats tend to be particularly high in sodium. Cutting back on the salt can be tough at first. Gradually cutting back is a good way to start. If you slowly start to reduce the salt in your diet, you probably won't miss it after a few weeks. While you are adjusting to your new low sat diet for high blood pressure, just try to remember your health is worth the effort!